One Stop Border Posts « What Happened to the Portcullis? It is anticipated that most Customs and Border Authorities have at least one common item on their national capacity building agenda’s for 2014 – the Agreement on Trade Facilitation. Many countries, being members of the WCO, would have already acceded to a level of commitment to the Revised Kyoto Convention (RKC). This requires of them to introduce, at an agreed time, the principles of WCO standards and policies according to the level of their sovereign commitment. The General Annex to the RKC is the bare minimum a country would be expected to implement in order to for it to be considered compliant with the RKC. From a trade perspective, this also indicates the extent to which your country’s leaders have committed itself towards ‘global integration’. What the recent Trade Facilitation Agreement (ATF) in Bali does is bind member states to a compendium of requirements necessary for the enactment of certain conditions and obligations as set out in the various articles contained in the agreement. Countries should also note that certain of the ATF provisions include items under the Specific Annexes to the RKC. For a quick reference to see how the RKC and other WCO standards and conventions stack up to the ATF, refer to the WTO Trade Facilitation Toolkit by clicking the hyperlink. In addition to this, the ATF also makes provision for ‘special and differential treatment’ in regard to developing and least developed countries (Refer to Section II to the WTO ATF). In essence this allows those countries and opportunity of identifying their (capacity building) needs and setting themselves realistic targets for implementation and compliance to the ATF. To this end 3 Categories are identified for national states to consider in the event they are not at present in a position to accede to some or all of the ATF conditions. The WCO has also prepared various tools which aim at assisting its members in assessing their national position in regard to the ATF. Members are likewise encouraged to regularly visit the WCO website for updates in this regard. Customs officials from 24 eastern and southern African countries met in Pretoria this week to share knowledge and experience with regard to the successful modernisation of Customs administrations. Opening the three-day forum, Erich Kieck, the World Customs Organisation’s Director for Capacity Building hailed it as a record breaking event. “This is the first forum where all 24 members of the Eastern and Southern African region (ESA) of the WCO were all in attendance,” he noted. Also attending were officials from the WCO, SACU, the African Development Bank, Finland, the East African Community and the UK’s Department for International Development (DFID). The three-day event witnessed several case studies on Customs modernisation in the region, interspersed with robust discussion amongst members. 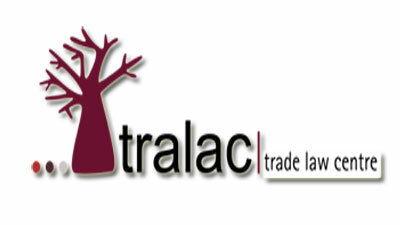 The conference also received a keynote addressed by Mr. Xavier Carim, SA Representative to World Trade Organisation (WTO), which provided first hand insight to delegates on recent events at Bali and more specifically the WTO’s Agreement on Trade Facilitation. The WCO’s Capacity Building Directorate will be publishing a compendium of case studies on Customs Modernisation in the ESA region during the course of 2014. WCO ESA members – Angola, Botswana, Burundi, Comoros, Djibouti, Eritrea, Ethiopia, Kenya, Lesotho, Madagascar, Malawi, Mauritius, Mozambique, Namibia, Rwanda, Seychelles, Somalia, South Sudan, Swaziland, South Africa, Tanzania, Uganda, Zambia and Zimbabwe. Parliment’s standing committee on finance (SCoF) on Wednesday finally adopted a bilateral agreement between South Africa and Mozambique that brings the creation of a one-stop border post between the two countries a step closer. The move has been six years in the making. The facility is expected to expedite the movement of goods and people, reduce congestion and delays, and lower the cost of cross-border trade. Members of Parliment heard on Wednesday that the World Bank estimated that a one-day reduction in inland travel time in sub-Saharan Africa could result in a 7% increase in exports. Further, reducing export costs 10% through greater efficiency could increase exports 4.7%. Parliament is in the process of ratifying the bilateral legal framework for the one-stop border post between South Africa and Mozambique at Lebombo-Ressano Garcia. It is the first bilateral framework of its kind for South Africa and is likely to be replicated in other parts of the Southern African Development Community (SADC). SADC has made a commitment to implementing such bilateral agreements throughout the region. 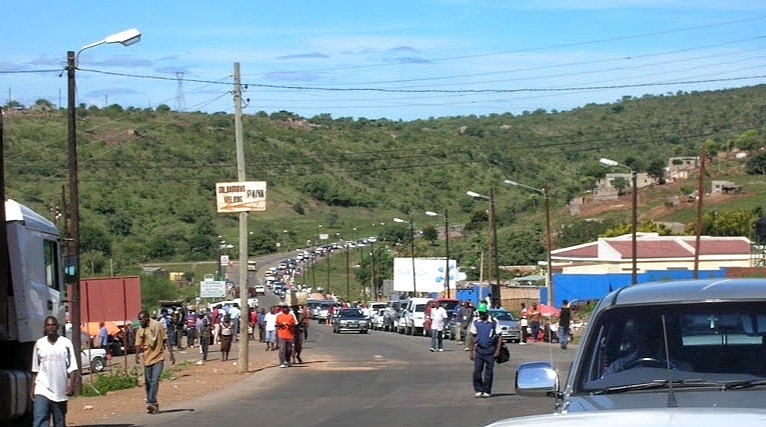 South Africa is in discussion with Zimbabwe about having a one-stop border post at Beitbridge, which is notorious for its congestion and long delays. The committee heard from Department of Home Affairs officials that a single visa for the region was also planned once systems have been integrated and secured. The one-stop border post facility and access roads to Lebombo-Ressano Garcia have already been built and were just awaiting the go-ahead from the South African and Mozambican governments to begin operating. Each country would have a designated area in the combined facility for customs control but housing them in one unit would mean that goods would only have to be offloaded and loaded back onto trucks once for inspection. 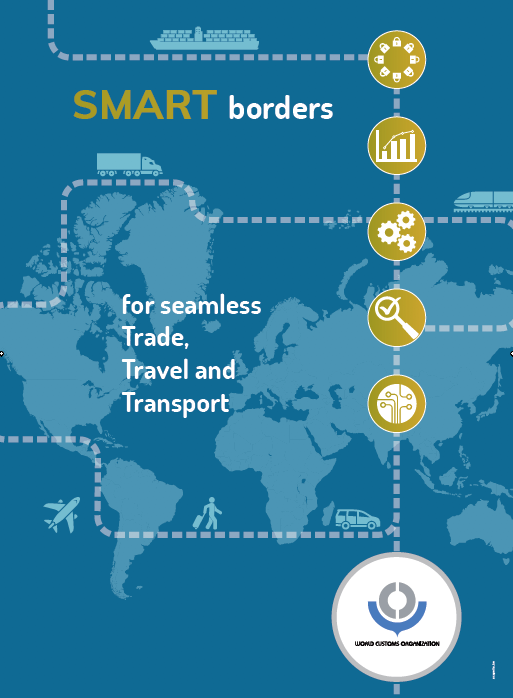 South African Revenue Service senior executive Kosie Louw said the benefits of one-stop border posts were reduced border crossing times and reduced logistics costs. Further, they simplified and harmonised border control and administration, and integrated risk and information management. A reduction in corruption and illegal imports was another benefit, Mr Louw said. Frequent travellers will be processed speedily through the use of fingerprints. A key element of the agreement is to provide for extraterritorial jurisdiction at the commonly held border posts and to deal with arrest, detention and seizure of goods. Both parties will be entitled to apply their own domestic customs laws within the common control zone. Will Africa’s Leaders Finally ‘WALK’ the Talk? The citizens of the African continent have been introduced to one grand vision of development after the other – from OAU to AU. However, there is a tendency by some of the member countries to retreat from fulfilling regional treaty commitments, which, in some cases, would entail losing a degree of sovereignty. What is the biggest stumbling block to achieving the African Integration Vision? But after more than 50 years of solemn regional integration declarations these rhetorical and symbolic efforts still haven’t made the regional integration schemes any more inclusive. For example, when analysing the ‘inclusiveness’ trends as measured by Poverty and Income Distribution Indicators, most Sub-Saharan African countries won’t achieve the MDG target of reducing extreme poverty rates by half ahead of the 2015 deadline. This is despite the increasing total merchandise export as well as within most of the regional economic communities (RECs). Some have tried to absolve policy-makers of the lack of progress with regards to achieving the milestones of the “linear” integration model based on the European experience and advocated by the Abuja Treaty. They propose an alternative non-trade oriented approach; the so-called functional regional cooperation. This perspective focuses on setting standards for transport such as the SADC recognized driving license; construction of a new regional corridors; an African identity etc. This less ambitious but perhaps more realistic perspective could lead to failure in removal of trade barriers, while at the same time presenting a much more positive outlook of regional integration than what international economic data would otherwise show. The AfDB is attempting to get to the bottom of this regional integration – inclusive growth conundrum in its 2013 African Development Report, currently under preparation. But we might already get some good answers to this question through an ongoing research project entitled ‘PERISA‘. Led by the ECDPM & SAIIA, it intends to look deeper into what regional integration/cooperation really entails and what the underlying drivers/factors and specific bottlenecks are. In July, we got a hint on what to expect from the research project from a very enriching Dialogue on the Drivers and Politics of Regional Integration in Southern Africa. South Africa has developed a ‘2030 vision’ and national strategic plan. It includes some proposals to reposition South Africa hegemon in the region. However, very few of the National Development Plans (NDP) in Southern Africa even mention regional integration. Mauritius being an exception as it benefits from the support of the Regional Integration Support Mechanism (RISM), which is disbursed directly into the budget of the government as untargeted financial assistance. Notwithstanding this support and the disbursement to the nine other Member States of the Common Market for Eastern and Southern Africa (COMESA) and additional donor-supported initiatives in other RECs, there is still a flagrant absence of alignment between commitments taken at the regional level and the actual planning process at the national level. This discrepancy between the regional and national level is a matter of concern because if these Regional Trade Agreement (RTA) commitments do not feature amongst the country’s national priorities then there is an even greater risk that they will not be implemented in practice. This latent risk perhaps goes a long way in explaining the relative poor record when it comes to the level of domestication of regional integration legal instruments, implementation of trade and regionalintegration-related budgets, implementation of Council of Ministers’ trade-related decisions, which the AfDB will seek to capture through its forthcoming system to measure regional integration in Africa. During the meeting a call for a community of practice among national planning agencies was made which could assist and drive the integration process through the convening of regular meetings between regional and strategic national planners. It is positive to observe that Southern African countries seem to have warmed up to this idea of an informal community of practice outside the formal institutional structure. What can Development Finance Institutions do about this inertia? In addition to the supply-driven collection of regional integration statistics, Multilateral Development Banks (MDBs) could also lend technical and financial support to the formation of Regional Planning entities’ process. Amongst others this could include providing support to the above-mentioned community of practice of national development planners interacting with regional planners. This could eventually ensure that regional integration gets fully mainstreamed within the national planning policy instruments as illustrated in Mauritius’ latest 2013 budget, whose overarching theme rests on six main objectives, including fast-tracking regional integration. website (An analysis by Christian Kingombe, Chief Regional Integration & Infrastructure Officer at the AfDB). A one stop border post has been established at Ruhwa in Rusizi District order to reduce the amount of time spent by traders clearing goods at the Rwanda-Burundi border. The one-stop border post is also expected to bolster trade between the two countries and see an infrastructure overhaul at the border area, according to the Minister of State for Transport, Dr Alexis Nzahabwanimana. Under the one border post, travellers will access services at one spot unlike in the past when documents were processed at two locations – one in Rwanda and the other across the Burundi border. The process will now take about five minutes as opposed to 30. With the new system, immigration, emigration and customs officials from the two countries share offices to ease the clearance procedures for travellers entering or departing either country. He urged employees to seize the opportunity and improve on the quality of services they provide. He also advised them to exploit modern technologies if they want to make a difference in what they do. 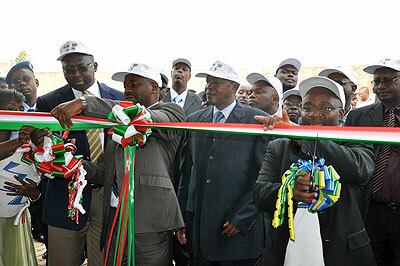 Burundi’s Minister of Transport and Public Works, Deogratias Rurimunzu described the move as “another step forward in the cooperation and friendship” between Rwanda and Burundi. He observed that the border will promote bilateral trade and cooperation abetween both countries. “Work diligently, use your skills, pto provide better services and put these infrastructures to good use for them to benefit our population,” Rurimunzu told employees at the border post. The idea to establish the one-stop border post was first floated in 2009. It is part of a larger project which comprises border infrastructures including administrative blocks, staff quarters, a warehouse, a weighbridge, social facilities, street lighting and water sources, among others. The project also comprised the renovation of a 50.6 kilometre road between Nyamitanga and Ruhwa on the Burundian side as well as the construction of Ntendezi-Mwityazo Road on the Rwandan side. A new cargo terminal will be opened at the Ressano Garcia – Lebombo border crossing before the end of the year to speed up the processing of customs clearance for goods moving between Mozambique and South Africa. 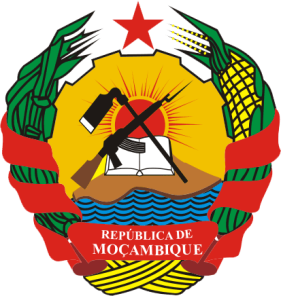 To further the project an agreement has been reached between the Mozambique Tax Authority (ATM) and a consortium composed of the Matola Cargo Terminal (Frigo), Matrix and the “Zambian Border Crossing Company”. The 15 year concession contract was signed on 14 June in Ressano Garcia by the chairperson of ATM, Rosario Fernandes, and by the managing director of Frigo, Filipe Franco. Filipe Franco told AIM that a new truck terminal is being built where facilities will be available for all the necessary services including customs, migration, and officials dealing with health and agriculture. He pointed out that “our objective is to ensure that the terminal will be completed and operational by December”, adding that the consortium is composed of companies with a great deal of experience in managing cargo terminals.